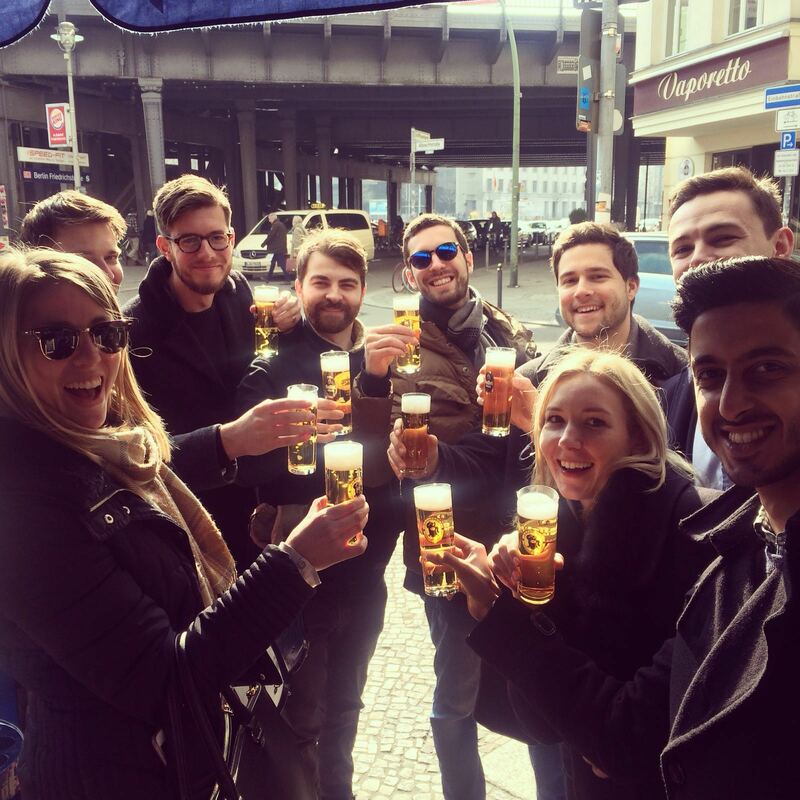 We recently landed back from Berlin after a phenomenal ITB. Year on year, tens of thousands of travel professionals descend upon this city to show off their wares and do the kind of business that would make Lord Alan Sugar feel proud. Up until now we would take to the floor, networking with hotel contacts across the industry where they stood on their own turf boasting their double-decker booths with extra shiny spotlights. For the first time however, we had a dedicated Triptease presence and it certainly didn’t go unnoticed. Stepping into Hall 6.1 you couldn’t miss our eager team talking to passers-by along with current and future clients about our range of products that are set to drive 10 million direct bookings this year. The ITB organisers told us we stood out for “embracing the culture and ethos of ITB”. High praise indeed! I can only imagine this is what it’s like to become a celebrity. To chit-chat about and industry veterans know who you are and what you do. In 12 whirlwind months we’ve gone from one hotel website to over 8,000. All thanks to our plucky, little widget emerging with its simple aim of bringing trust and transparency to the tiring journey of booking a hotel room. It was humbling to see lots of similar companies popping up, who are following suit in making direct the best way to book. Imitation is the best form of flattery after all. “You’re the best thing we bought at World Travel Market last year” had to be my favourite quote that came on the morning of day one. Speaking to hotels and hearing about the OTA commissions they’re saving, their better handle on parity and their now satisfied direct bookers was a true delight. We left buzzing with new ideas, new contacts and renewed gusto to make this year the year of direct bookings.